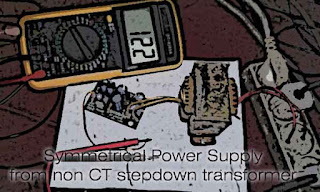 As a technician and hobbyists, we are often faced with the problem of for the need the type of a voltage, where we had just the kind of asymmetric (+ and 0 V) while needs symmetrical (+, - and 0 V). 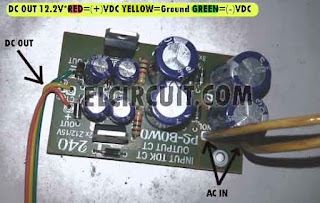 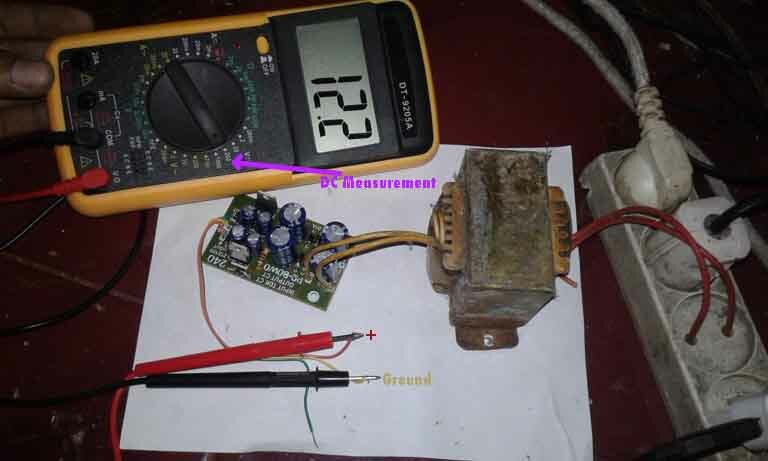 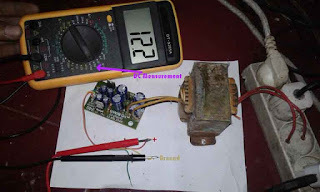 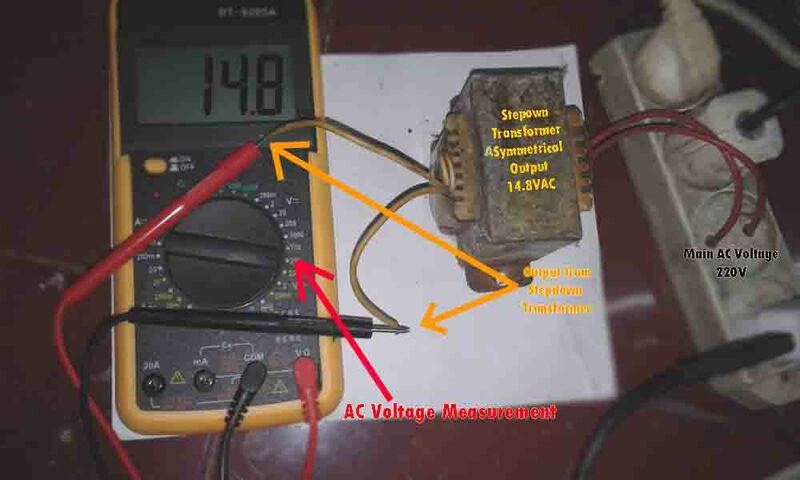 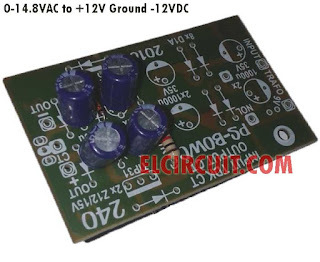 In the circuit scheme above, the AC voltage input from 220V AC output step-down transformer, where the output voltage of the transformer of 14.8V AC. 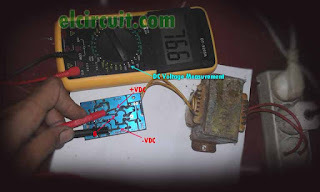 The Voltage (+) and (-) 76.6VDC, for it symmetrical (+),(0V),(-) 33.3VDC. Then the voltage is lowered and regulated by using series transistor TIP31, TIP32, Zener12V, Rectifier Diode. 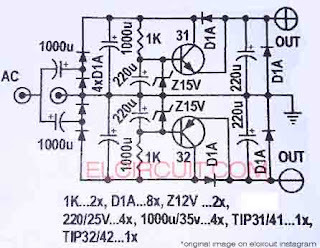 I'm using Zener Diode 12V then the output becomes +12V 0 -12V DC. 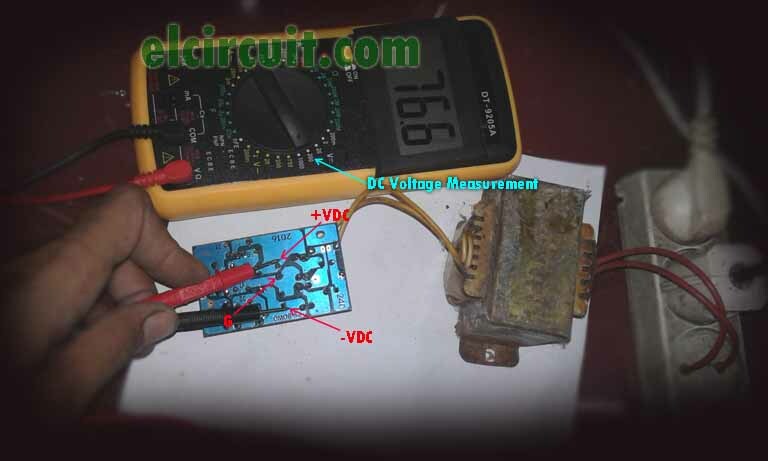 If you want the output voltage +15V 0 -15V, use Zener Diode 15V. 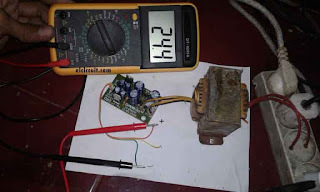 Just sharing to be together, if there are still less make a comment on the column below. 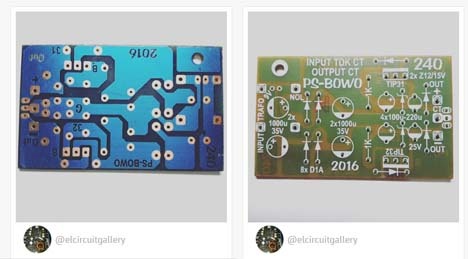 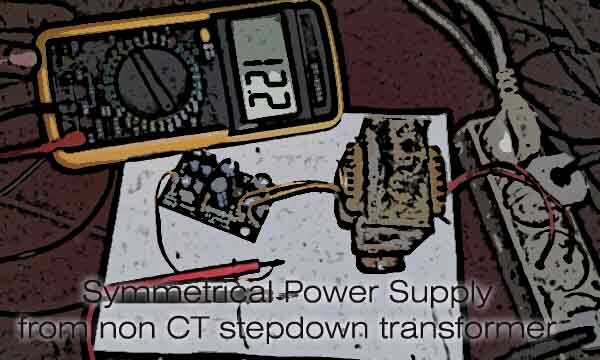 what changes to be made for 45 v dc.